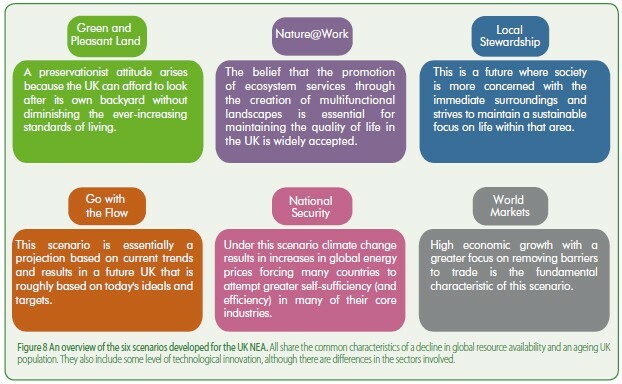 Ecometrica’s Normative Biodiversity Metric: is it really a good idea? Ecometrica, a Scottish consultancy, just wrote up guidelines for a new biodiversity metric. The Normative Biodiversity Metric (NBM) uses an interesting shortcut between “pristine” land and biodiversity to assess the overall land-holdings of the organization being assessed. Because the metric uses widely applicable classes of “pristiness”, it can itself be widely applied, at various spatial scales. In fact, NBM relies on existing mapped data concerning land-use and land-cover. This wide applicability is the metric’s main strength. In trying to apply concepts and ideas developed for green house gas emissions (GHG) to biodiversity, Ecometrica has chosen to simplify the later to a single easy to use metric. Why not? That choice does however raise the issue of over-simplification. When does “pristine” actually equate biodiversity and is that particular biodiversity the most relevant one to consider in assessing an corporation’s impact? The NBM is designed to provide an equivalent to corporate GHG assessment, for biodiversity impact.